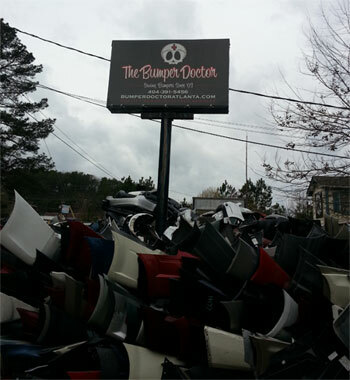 The Bumper Doctor has been “saving” bumpers since 2003. Locally owner and operated, we offer a 100% money back guarantee. We offer delivery for business accounts, and can arrange bumper shipping anywhere in the continental U.S. Call or email us today! Why buy a remanufactured bumper? Remanufactured or "recycled" bumpers fit your car better. They are original, direct-from-the-manufacturer bumpers. We have expertly reconditioned them to like new condition. Remanufactured bumpers mean fewer plastic bumpers in our landfills. Remanufactured bumpers save you money...and fit your car as well as a brand-new OEM bumper! Why choose The Bumper Doctor? We have been in business for 10 years - We know bumpers, and bumper repair! Our technicians have an average of 10 years experience, so your bumper will be expertly repaired. We offer a 100% money back guarantee. Just ask for details.